A series that asks those who have experienced prematurity to share their words of wisdom and inspiration with others currently going through it. At twenty-five weeks of pregnancy, babies in the womb are typically the size of a very small pumpkin. They develop a firm grasp and can stick out their tongue, but still need an additional fourteen to fifteen weeks to fully develop. But twenty-five weeks is when Makenna and Andrew decided to make an early entrance into this world. Mae and Josh Davis were having a healthy first pregnancy until that point, anxiously awaiting the arrival of their boy-girl twins. Then Mae experienced a placental abruption. She was sent for an emergency cesarean section at Henrico Doctors’ Hospital in Richmond, Virginia. 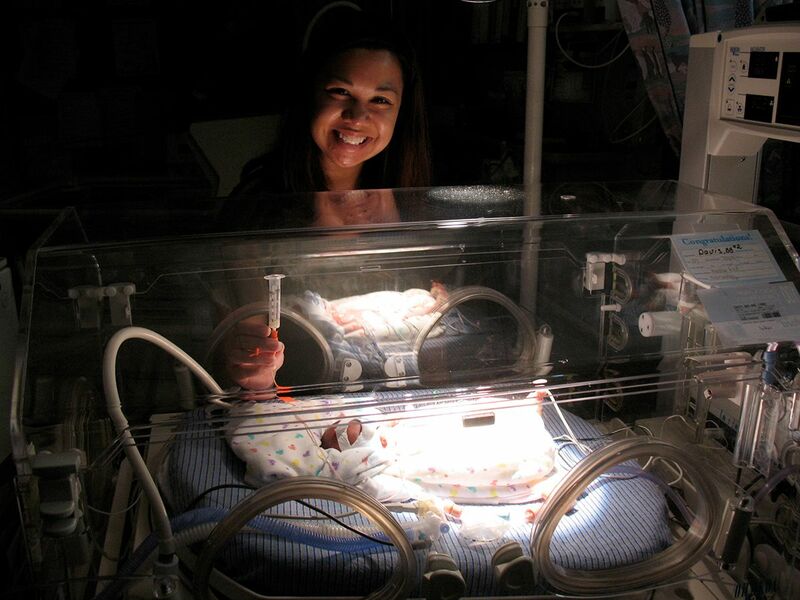 Andrew (left) and Makenna (right) in GE Healthcare’s Giraffe OmniBeds, an incubator and radiant warmer in one that promote development along with mother-infant bonding. The average newborn weighs about seven and a half pounds with a range of five and a half to ten pounds. Born 15 weeks early, Makenna arrived at just one pound, nine ounces and Andrew weighed one pound, ten ounces. They both experienced the gamut of preemie complications – from heart complications and jaundice to a Chronic Lung Disease diagnosis. After 110 days in the Neonatal Intensive Care Unit and Progressive Care Unit, Makenna was finally able to come home with Mae and Josh. Andrew soon followed after a 125-day stay. He remained on supplemental oxygen for about two years. 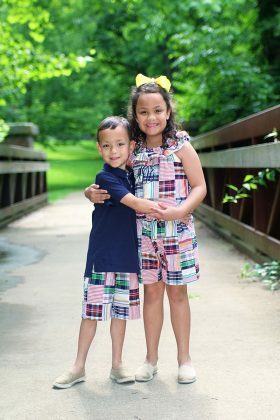 “We feel fortunate and blessed by the medical staff and medical technology that truly gave our babies a fighting chance at life,” Mae and Josh said. “When you’re in the NICU going through this tumultuous time, it feels very helpless and dark. It’s hard to understand unless you’ve lived through it yourself, so the more we can offer support to other families who have premature babies and share our stories, the better,” Mae said. Mae and Josh are one of many families who have experienced prematurity and are sharing their words of wisdom and inspiration for others currently going through it. Read their messages here.